Kyoto, located in the Kansai region in southwestern Japan, served as a capital city for over a thousand years, playing a central role in laying the cultural and industrial foundations for Japanese tradition. It remains as an esteemed academic city incubating more than 30 national, public, and private universities, including Kyoto University. 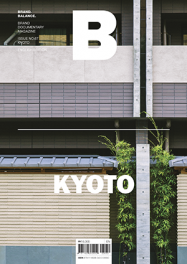 While retaining thousands of years of remarkable history, Kyoto attracts a constant inflow of new generations who both recognize the value of tradition and instill the city with creative energy. The artisans of traditional industries continue to apply modern lifestyles to tradition in attempt to balance their old ways with the present. For that reason, Kyoto is once again recognized as a city with a solid sense of self-awareness that stays attuned to the times.